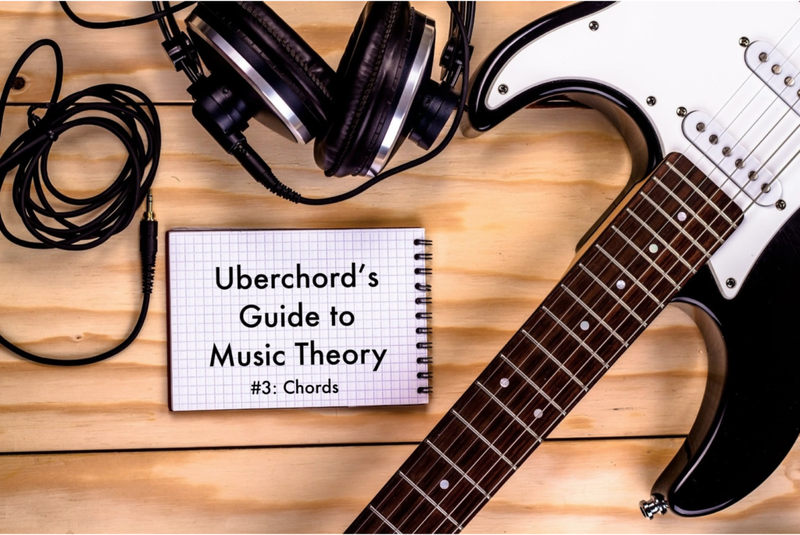 If you missed our first two posts on “The Major Scale” and “Intervals“, it might be a good idea to catch up before we get started on chords. 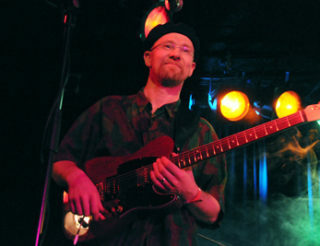 Generally speaking, a chord is when three or more different pitches sound at the same time. 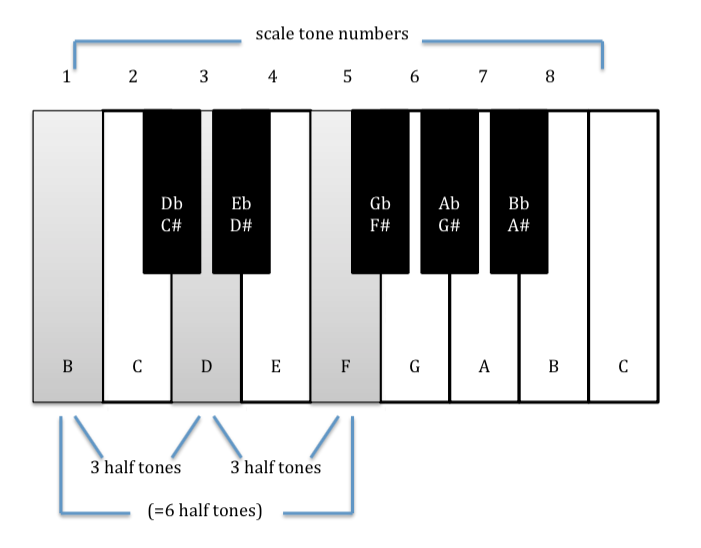 The chords we commonly use are based on scales, which brings us back to our first post in the series. If we look at the C major scale and play simultaneously the first, the third and the fifth note of the scale, what we get is a C major chord. More precisely, we would call it a “C major triad” because it consists of three notes. 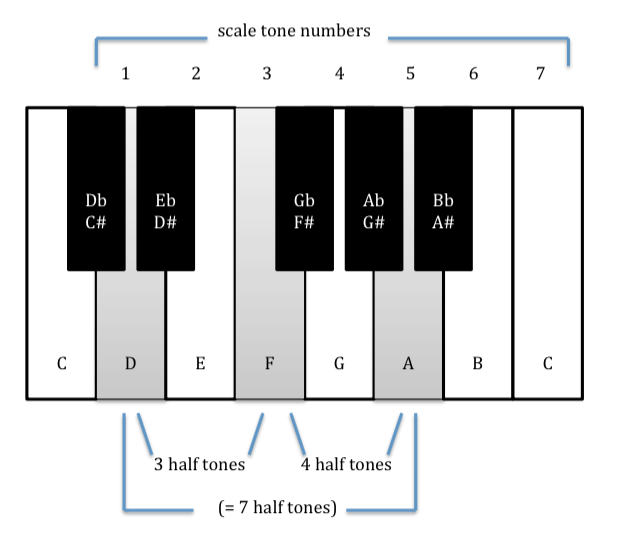 Let us do the same thing, now starting on the second note of the C major scale – D. Going up the scale once again from D (which we now consider the first note), we add the third note F and the fifth note A. This gives us a “D minor” chord, or D minor triad. 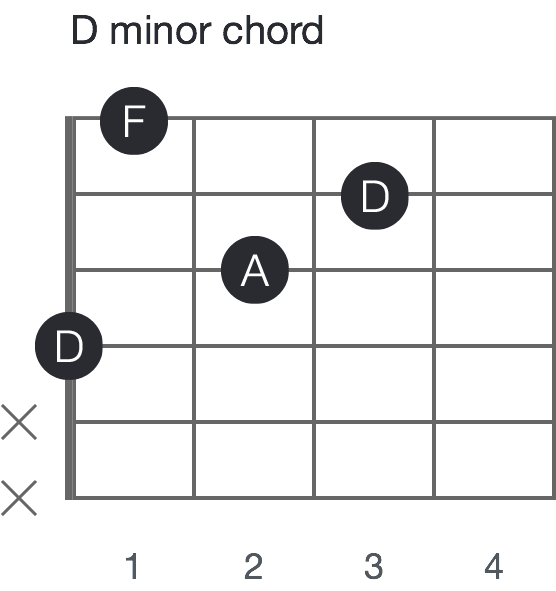 It’s “D” because that’s our first or ‘root’ note, but why is it minor this time? This makes an enormous difference. 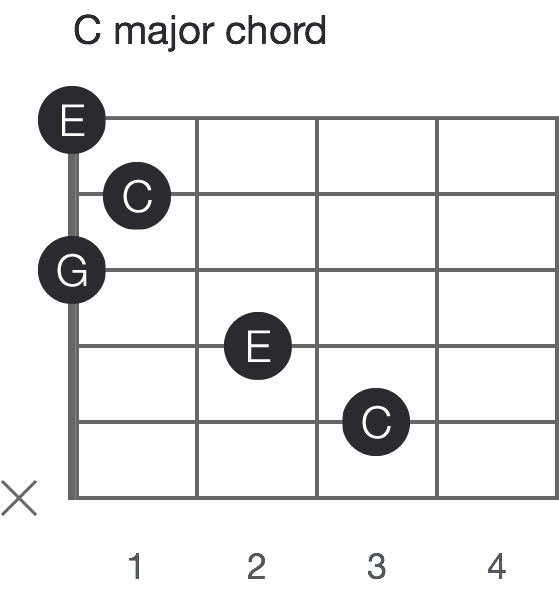 If the lower interval is a major third, it produces a major chord. If it is a minor third, we get a minor chord. Notice that the distance between the lowest and highest notes remains the same: C to G is a perfect fifth (7 half tones / 7 frets), as is D to A. It is the middle note that gives the essential information which distinguishes a major from a minor triad. If we apply this pattern along the C major scale, what we get are chords which are close ‘family members’ within C major. Starting at E, skip a note to add a G, and skip a note again to get a B. Note that the last triad is neither major or minor, but diminished. Diminished means that we have a minor third between the low and the middle note (in this case, B and D) and another minor third between the middle and high note (D and F). 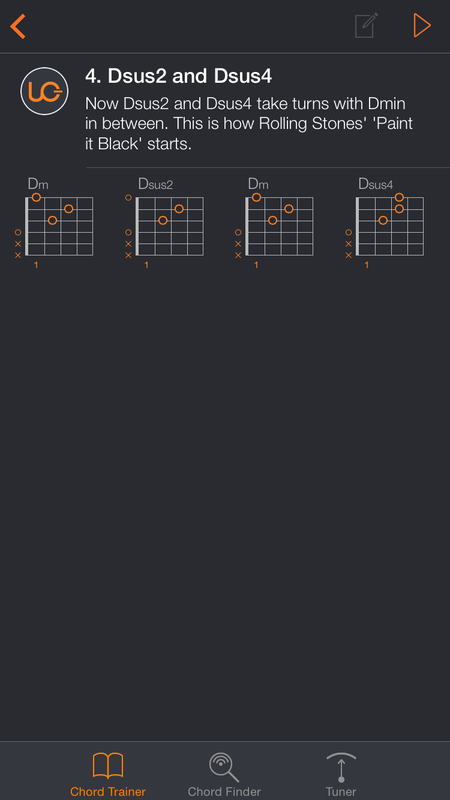 Fun fact; you can switch the order of the notes of a chord from low to high to high to low. For example in C major you can put the C on top so that E becomes the lowest note and the G is in the middle. This is called “inversion”, in which we’ll go into greater depth later. 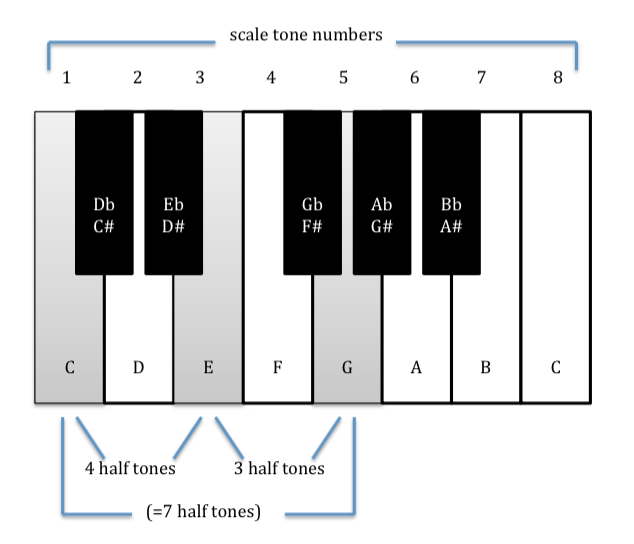 Also, in addition to notes 1, 3 and 5 you can create much “bigger” sounding chords by continuing with notes 7, 9, 11 and 13 until all notes of the scale are used. This will also take subject of one of our lectures to come, but for now.. If you play these notes, lowest first going up and sing along their names you will quickly get familiar with the way we play chords on guitar. For E minor we need E, G and B. 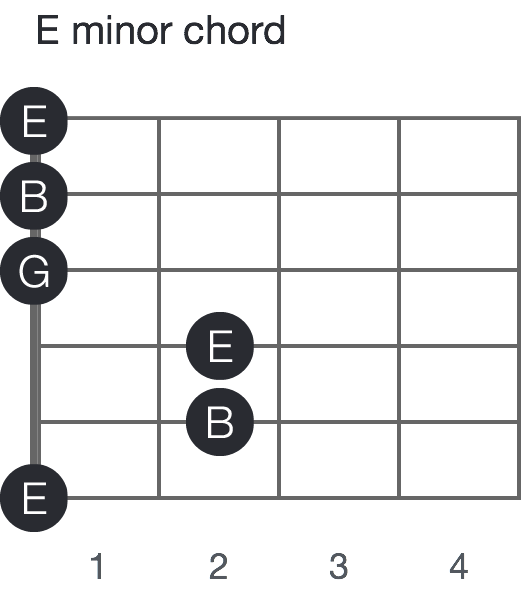 For this example, we can use all six strings because the lowest open string serves as our bass note E. Raise the A string to B on the second fret and the D string to E using also the second fret. 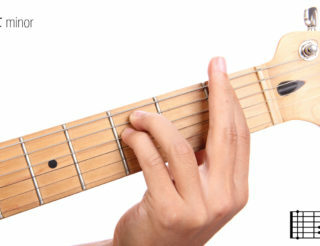 The remaining open strings all belong to E minor: G, B and E.
The notes of the chord will then be: E, B, E, G, B, E.
Notice that the note E appears three times and the note B appears twice. 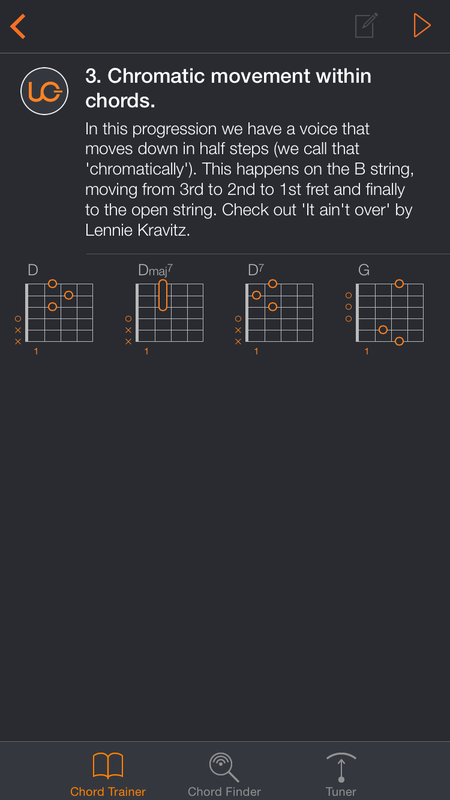 The next and most important part to learning chords is practicing them. 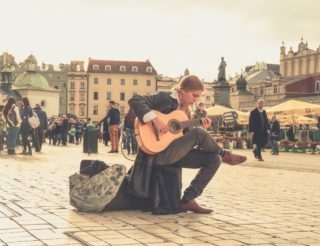 For advice on where to start, we recommend reading “5 tips for learning guitar chords” and if you’re a complete beginner “Learn Guitar Chords” is a guide that shows you exactly how and what to practice first. 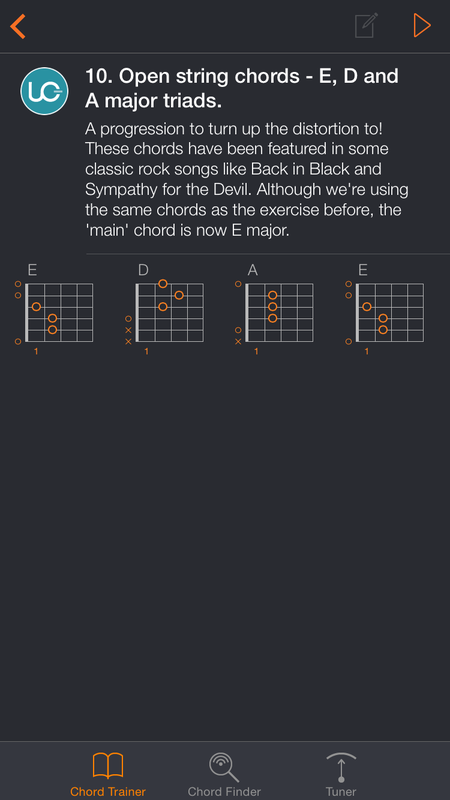 We also put together some exercises in our app using chord progressions that will remind you of some famous songs. 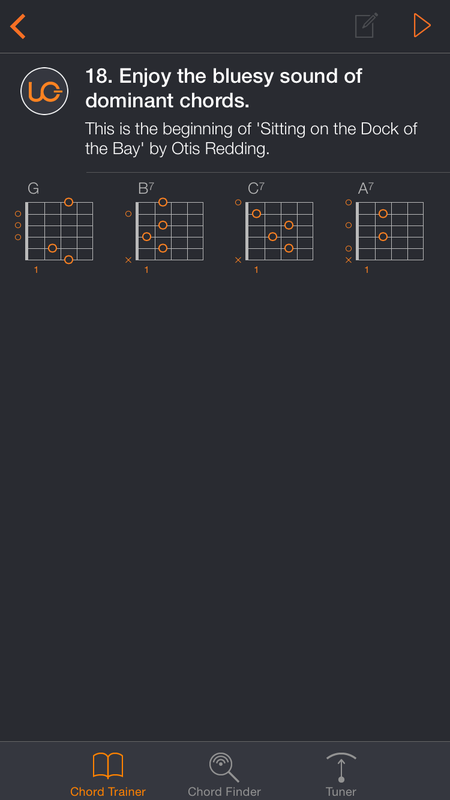 You can download our free guitar chord training app to practice these exercises and get closer to mastering all of these chords and more. Very well explained, abot the chords. You make the complicated seem simle, thank so much!! !